Odette Potgieter is an admitted attorney and a Director at MDA Attorneys. Odette has considerable experience and knowledge in all aspects of construction and contract law. Contract negotiation, drafting and amendments to standard form contracts such as the FIDIC suite of contracts. Drafting and providing advice in respect of various forms of security, including parent company guarantees and performance bonds. All aspects of construction dispute resolution including adjudication and arbitration. On-site contract administration, including claims, contract audits and advice. 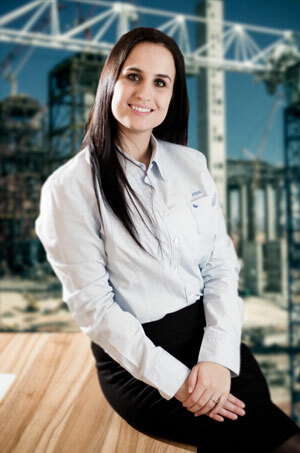 Odette has been involved in and represents numerous role players in the construction industry in resolving disputes through all forms of dispute resolution, including adjudication and arbitration. Odette has for the past 4 years provided on-site commercial support and provided on going value to contractors and sub-contractors to ensure compliance with contractual provisions and to effectively manage the commercial challenges. This includes: site administration, claims management and drafting of correspondence. Claims management for numerous contractors on the Kusile Power Station Project. Assisting a Chinese Mining House with the drafting of a set of standard amendments to the FIDIC suite of contracts and negotiated two long lead supply contracts with OEM contractors for a greenfield project in Namibia. These long lead supply contracts had a combined value in excess of ZAR 5,000,000,00.00.